Writer Irvine Welsh, Liam Gallagher and Charlatans frontman Tim Burgess are among those who have spoken warmly of Young, who played on hits such as Rocks and the band's Mercury Prize-winning album Screamadelica before leaving in 2006. Trainspotting author Welsh said of him: "One of the best, the most beautiful, who WAS rock n roll. Big love bro, give them it big time over the other side." And Beady Eye singer Gallagher, who shared the same record label Creation for many years, said on Twitter, " Live Forever", while Burgess called him "a real good un". 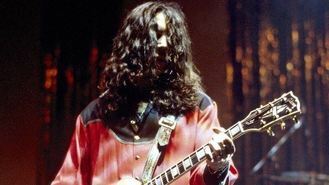 Young was a Glasgow schoolfriend of Primal Scream frontman and mainstay Bobby Gillespie and initially played bass with the group when they formed in the early 1980s, but after the relative flop of debut album Sonic Flower Groove, he went on to play guitar. The band were renowned for their on-tour hellraising for many years. Gillespie has said of his departure from the group: " He went one way and we went another way. He stopped making music and we carried on making music." Young's death was confirmed by a representative for the band. Andy Bell, the former Oasis bass player who is now in Beady Eye alongside Gallagher, wrote on Twitter: "That big power chord in Loaded is ringing out on the other side now."